The Ministry of Education warned privately-owned schools to not raise their tuition fees illegally nor to request these fees in foreign currencies as schools should be paid in Egyptian pounds, said the head of public education at the Ministry of Education, Reda Hegazay, in a press statement. “The fees will be announced on the ministry's official website and information pamphlets will be placed in school campuses. We will also introduce a hot line (19126) to receive citizens' complaints. I stressed to the managers of the Educational Administration that they must solve people complaints quickly,” Hegazy said. Speaking to Al-Hayah channel, Hegazy said the ministry is forming two committees comprised of the owners and managers of privately-owned schools, particularly international ones, to discuss their problems and demands as well as parent’s complaints so as to reach a compromise, especially in the wake of Egypt's price increases. He said schools that would not abide by the fee regulations would be subjected to official warnings and may face sanctions including seizure, administrative closure, and placement under financial and administrative supervision. Another rule that private schools must comply with is admission dates. 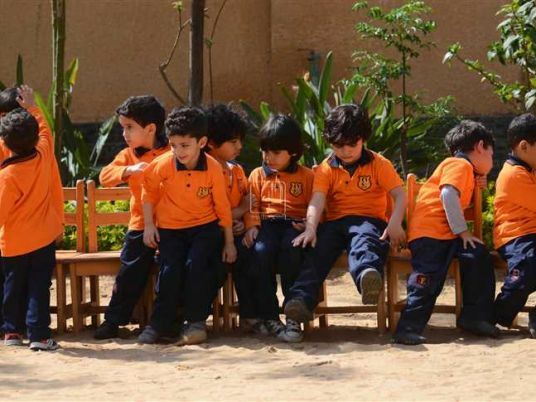 Sources told Youm7 newspaper that private school admission should begin from June 1, 2017 and any school that starts the process earlier would also be subjected to sanctions as this is illegal. A couple of days ago, the ministry decided to close the New Cairo British International School because the institution has no license and the students are not officially registered, as neither the ministry nor the Educational Administration have any idea about the students' documents. Some of these schools were shut down, including the International Deutshe School in Luxor, Leaders Language School in Kerdasa and Heliopolis school. Other schools received official warnings and others will face sanctions included seizure, administrative closure, and placement under financial and administrative supervision.